They’re in Needles for the night. At least, that was the plan. But Rick had shut his cell phone off against her early in the day’s white glare, and she’d lost sight of the weaving truck after his angry cutoff on the westbound I-40, just past the Arizona border. Day’s end she spotted the heat-rippled Needles off-ramp, and the Motel 6 sign. Worth a try. She has her panting, paw-sweating little dog with her, and all Motel 6s take little dogs—it’s been their chain of choice the last three nights since leaving Des Moines. She driving her car in front, hands clenched at 10 and 2, Rick coasting along back of her in the rental truck, with a diminishing cooler of beer and a year’s worth of her accumulated thrift store crap she just couldn’t bring herself to leave behind this time, homeward bound, heading west, convoy ho. She’s sick of baking macadam, and pink-furred roadkill bounced to the shoulder, and Christian radio static. She’s sick of strategy and bluff. No truck in the Motel 6 parking lot, but she doesn’t care; she’s stopping for the night. But yeah, he’s checked in, as planned. She tells the graveyard-shift teenager behind the counter, a girl with flayed hair and eyelined, won’t-ever-make-it-further-into-California-than-this eyes, that she’s his girlfriend. The girl shrugs, slaps on the counter a second key ringed on a red plastic diamond. It’s after nine at night and there’s still burning air going, still blaze and blistering skin. The window AC in Room 117 is gasping out chill. No actual Rick, but his backpack is flung on one of the twin beds. On the nightstand, a bucket of soggy ice and a motel tumbler with gathered ochre drops. Beer for the road, bourbon at rest stops. She’s known this for twelve years, and still begged him out to Iowa at the end of her latest consulting gig to help get her moved back home again, or just moved back, just get her moved. He’d listened to the usual conditions and still promised, agreed. They know the rules printed inside the game’s cardboard lid by heart. She fills her little dog’s water bowl from the tap, throws in a few ice cubes, and the dog laps and laps. She’s tempted to cool-shower rinse, grab a patty melt at the Denny’s next door, get into a rough-sheeted twin bed, and sleep. She gives her little dog yesterday’s sweat-stiff T-shirt to bunk into, a kiss and a stomach rub, and heads out. She hunts the four-street grid of Needles, finds the truck parked crooked and blocking a trailer’s driveway on the last gravel road before desert scrub. A loose pyramid of fist-smashed beer cans on the passenger seat, her moving boxes stuffed tight and pressed rhomboid in the bed. There are three bars on this block, and she picks the saddest postcard one, with X-mas lights still looped above the faux-adobe entrance, unlit. The air inside is damp sour saloon air, and he’s at the far end of the bar, gulping from a tumbler and nodding passionately at an old soaked-and-smoked man with shaky cracked hands, mumbling into an old man’s clutched glass. She gets up close behind him and she knows he knows she’s there without turning around. Get out of here, he says. I’m busy. I love this guy. Let’s get some sleep, Rick. I’m out. I’m hitting the road. Be in L.A. by morning. You get your stuff later somewhere. You have to listen to him. You have to love this guy. You have to. I can’t, she says. You know that. She touches his bare elbow, below his sleeve, but he both jerks away and shoves at her. I’m not playing anymore, he says. You can’t do this to me, like always, like you do. If he lurches out, she decides while he rants, if he makes it into the truck, drives off with all her worldly crap in the world onto black lost desert roads, she’s calling the highway patrol. That’s the new plan. When he begins to cry like he does she gets him off his stool, gets him under an arm and out the door and into her car, glad it’s finally gone dark and moon-glow cool. He’s crying, all shakes and bourbon sweat. She gets him back to the icy Motel 6 room, gets him onto one of the twin beds. She locks the chain lock, flops on the other bed next to her sleep-shivering little dog. I’m so disgusting, he says. I’m so sorry. I’m sorry too, she says. For all of it. He cries and cries, until she goes to him. She edges onto the cliff of nylon comforter, rubs his arm, gives him a pat on the head like a pet, but not like a dog. He grips her T-shirt hem. Please lie here with me, he says, his voice cracking. That’s all, I promise. Just lie. She moves, lies carefully on her side in front of him. He curls behind her, sour mouth gulping at her hair, arm locked around her ribs, like they do. This is all I ever wanted from you, he cries. All I want, I swear. Why can’t I have just this? What would it hurt? 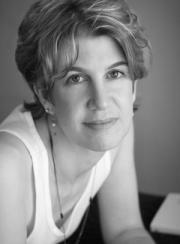 Tara Ison is the author of three novels: The List; A Child out of Alcatraz, a Finalist for the Los Angeles Times Book Prize; the forthcoming Rockaway; and the forthcoming short story collection Ball.